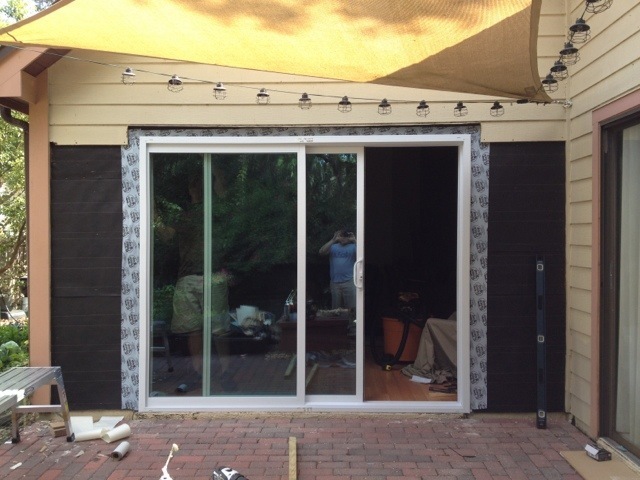 So what started out as a simple siding glass door swap out to be much more complicated. A few lessons learned for sure – and I’m still not done but here is the progress. 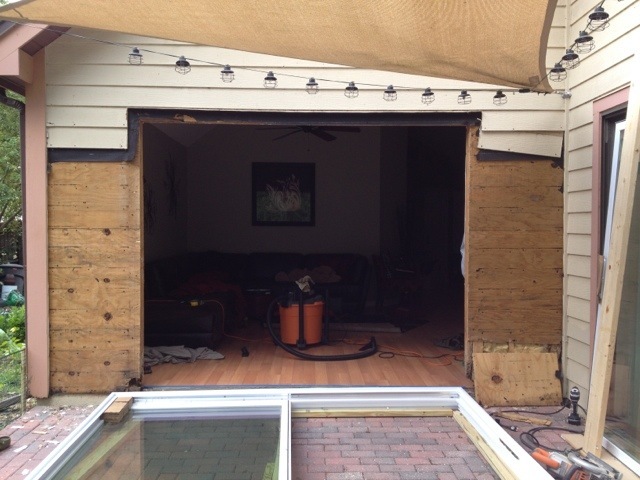 Lesson 1: A 9′ insulated glass sliding door cannot easily be transported in a short bed pickup truck. 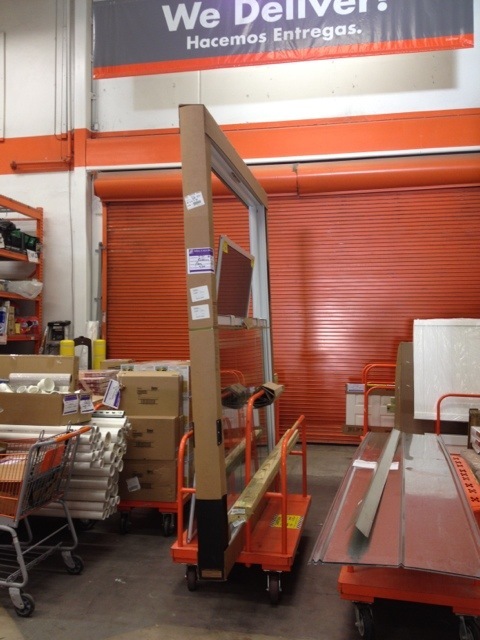 If you have to take the door out the special sliding garage doors at home depot – its probably to big for your pickup. 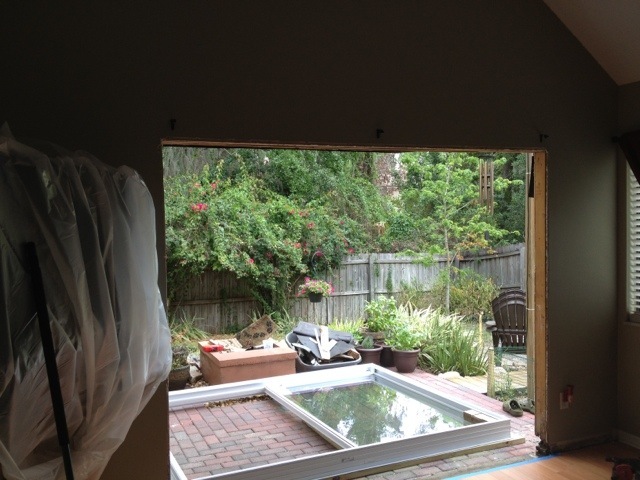 So we got the door delivered! Lesson 2: I should know this by now, but any job that requires any sort of demo and their are unknowns inside the wall will always take twice as long as expected. Especially in homes here in Florida. 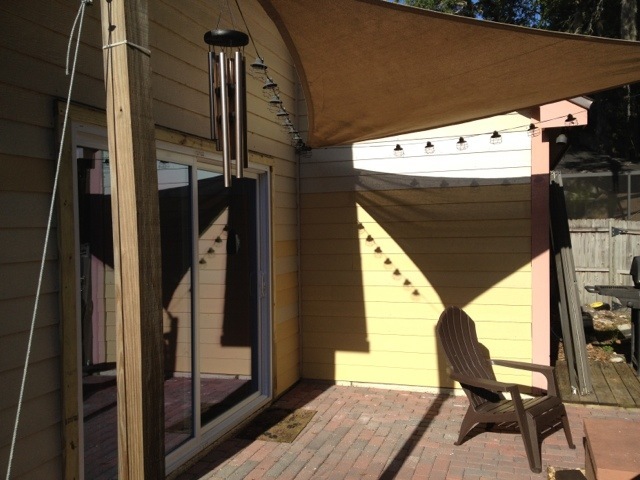 You’ll most likely run into old termite or water damage. 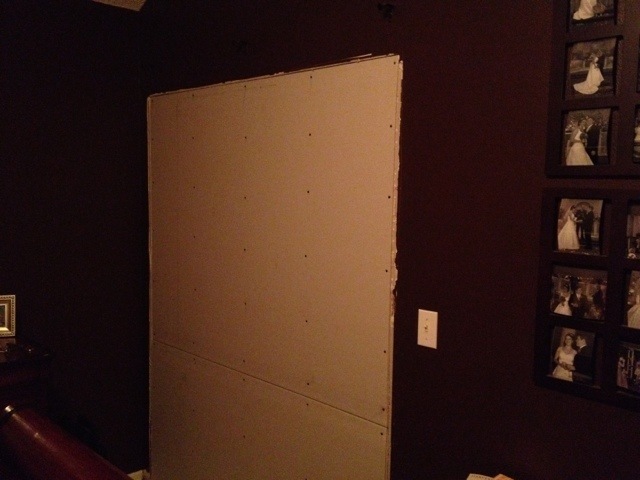 Mid-installing this door we also decided to remove an additional sliding door in our master and wall it in. 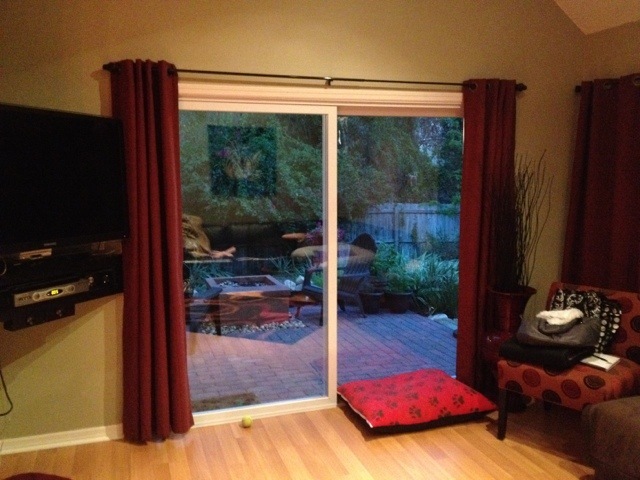 We’ll be adding some windows on a different wall in a couple months.